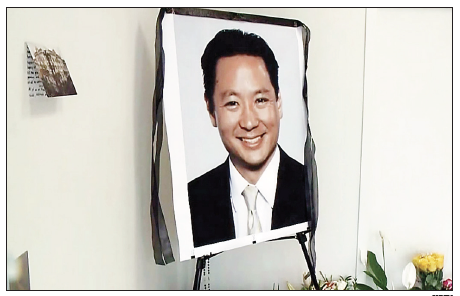 WASHINGTON — National JACL, the Northern California-Western Nevada-Pacific District (NCWNP), and San Francisco Chapter collectively mourn the passing of San Francisco Public Defender Jeff Adachi, who passed away on Feb. 22 at the age of 59. Adachi always celebrated his Japanese heritage and his roots in the Japanese American community. He was involved in and supportive of several community organizations and activities, including the board of directors of the San Francisco JACL. “Jeff would fill up a room whenever he entered,” said Hayashi. “If it was a courtroom, he would walk in ready and prepared to fight for his client. If it was a community function, he would greet friends with a big smile, warm handshake or hug. Despite his stature and all his awards, he was a modest, down-to-earth guy; he showed concern for people, had a good sense of humor and was genuine. “Over the next two decades, we all saw how much of a force of nature Jeff Adachi truly was. Jeff was not only a champion for the accused, the downtrodden, those who needed a fighter, but he also led the progressive movement for criminal justice reform while running the best public defender’s office in the country. Over the years, we saw his passion for the Asian American community, for the arts, for filmmaking, and for civil rights. Former San Francisco Supervisor Jane Kim: “Jeff Adachi is a legendary courtroom attorney, criminal justice reform warrior, eminent public servant + good human being. He was your most persistent + fiercest advocate. Whether it was his client, campaign, documentary, BARBRI classes (yes he created and taught BARBI prep AND donates the proceeds to charity! ), he was relentless. “A passionate voice for the visibility of Asian Americans, he promoted the arts and films and he organized. My thoughts are with your family, your huge community of friends + colleagues. Rest in power. So much respect. 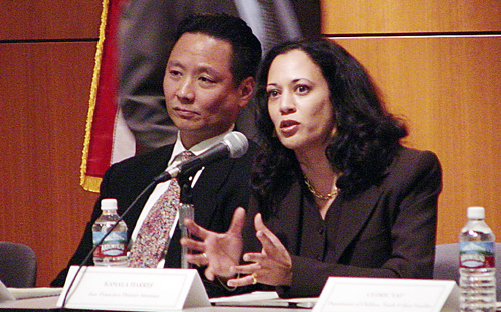 Asian Law Caucus Executive Director Aarti Kohli: “Jeff Adachi had a selflessness and zeal that are exceedingly rare in this world. He was a true public servant whose passion in the pursuit of justice stood as a shining example for all San Franciscans. As the child and grandchild of interned Japanese Americans, Jeff knew the cost of mass incarceration and the structural racism that drives it. He dedicated his life to advocating for victims of police misconduct and community members ensnared by our fundamentally broken criminal justice and immigration systems.